Just a quick, shameless plug before I get to the review of Bangalore Express… I’m excited to announce that I’ve been nominated for The Drinks Cellar Food & Drink Blogger Awards 2016! Voting opens on July 4th, and if you enjoy reading The Swindian, I would love your support! And as a little incentive – there is a prize draw for anybody who votes… (worth a shot?). Look out for updates via my Twitter feed soon. Now that’s quite enough of that, let’s get to the food! 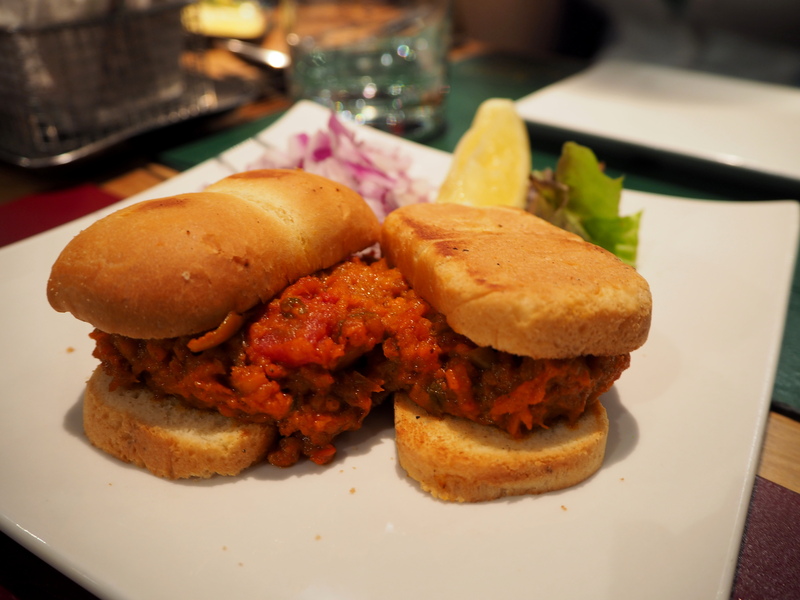 I recently visited Chakra – an amazing Indian fine dining experience on Holland Street. It was absolutely stunning, but slightly on the pricier side, which is why I was delighted to visit a slightly more casual restaurant, Bangalore Express, which is located in the City. Bangalore Express is owned by Yogesh Datta, an award-winning chef who has worked his magic both in India and the UK and also owns The Painted Heron. I loved walking through the City to get to the restaurant, passing by the Gherkin, as well as the Heron Tower, which houses Duck & Waffle and Sushisamba. Bangalore Express is slightly hidden in a side street, which means it immediately has a quiet and cosy feel. The football was on, but we were then led downstairs, where it was far quieter and sport-free. I was struck by the size of the place, as it looks small from the outside, but is probably ten times the size of Chakra! The menu was extensive, and we took our time in strategizing and deciding what we wanted to eat (I can’t help it… I always want to make the most of it!). 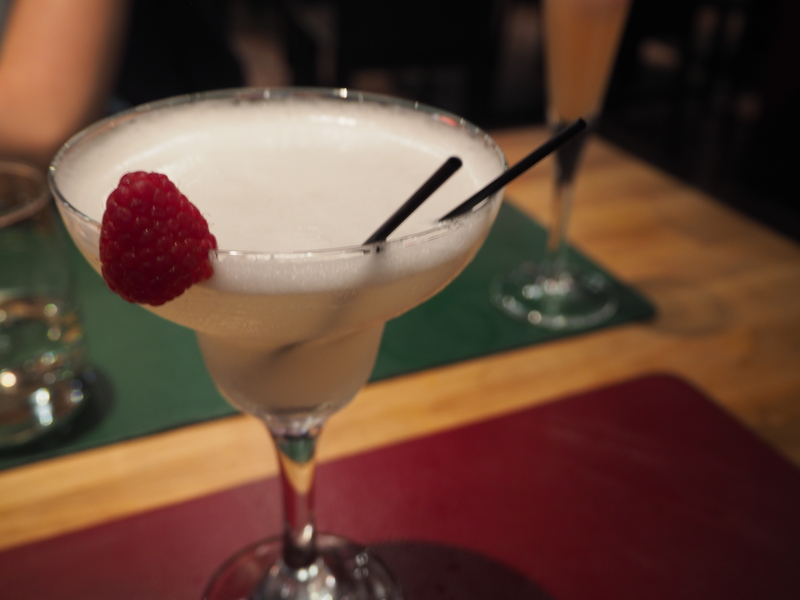 We started off with some cocktails; Shantaram (one of my favourite books), Slumdog Royale, and the guava bellini. And just like at Chakra, the cocktails were flawless and creative. Then we got to the starters… oh man, the starters. Each one was a winner on so many levels. Slight warning: the ‘small plates’ are bigger than expected, and we may have ordered too many! The okra chips were deep-fried in besan batter, richly spiced and topped off with chaat masala. 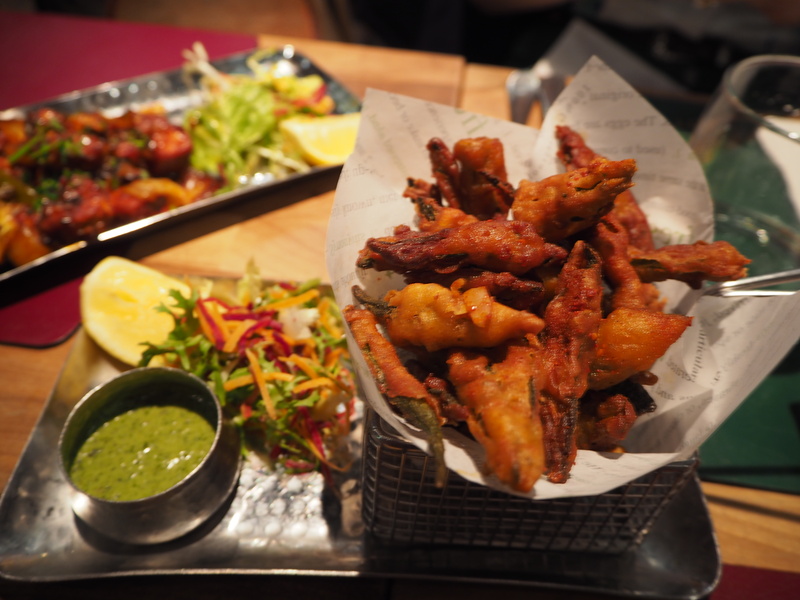 This is what crispy fried dreams are made of, with cooling mint chutney to boot! 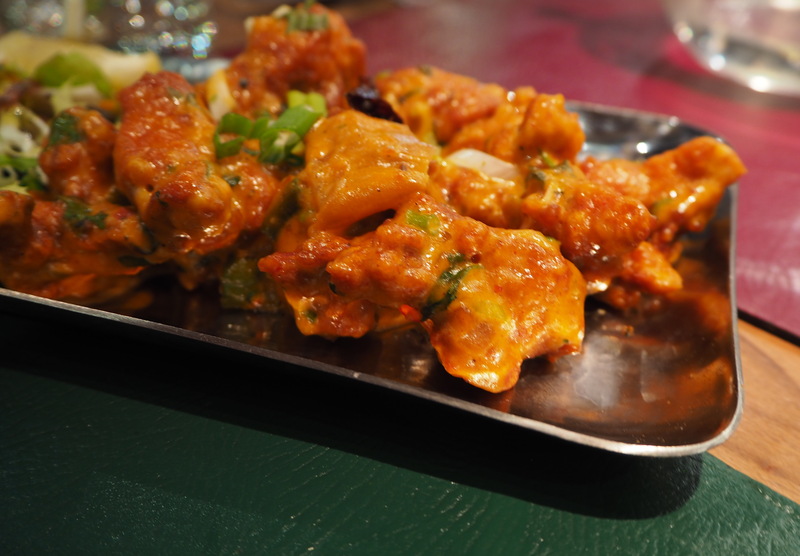 I discovered Chicken 65 when I was in Kerala a few years ago, and loved the spicy creation. Bangalore Express’ version was quite different, as it had a slight gravy to it, but it was a superb variation, and the chicken inside was as tender as could be. 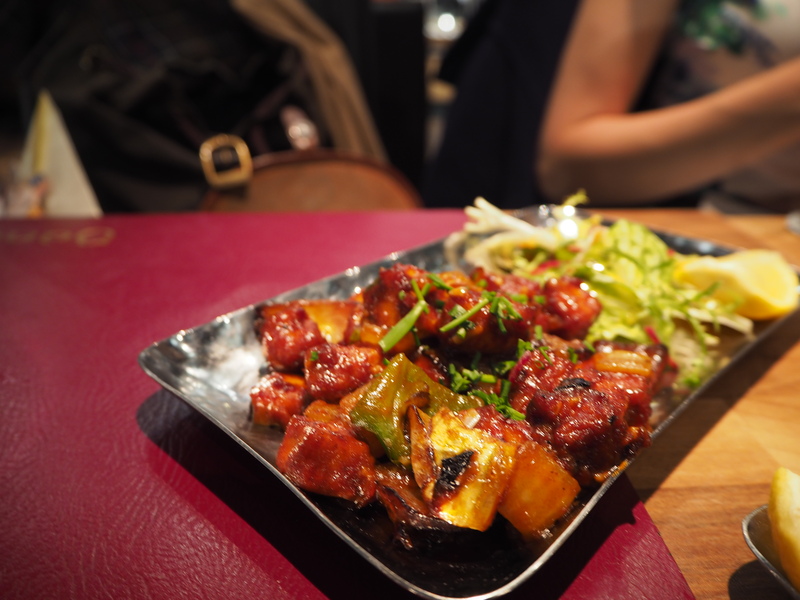 I adore paneer, particularly when it’s chili paneer (I’ve even got my own recipe for it here), and this one was definitely very authentic ‘Indian Chinese’! With a hint of soy sauce and a slight crispiness to the paneer, I could have eaten it for days. (Un)fortunately, as our starters were so impressive, the mains paled slightly in comparison. The lamb neck curry with okra was tasty, but not overwhelmingly so, and the baby aubergine had an oddly flavoured peanut sauce. This was a personal thing though, as my friend The Baking Medic adored it! 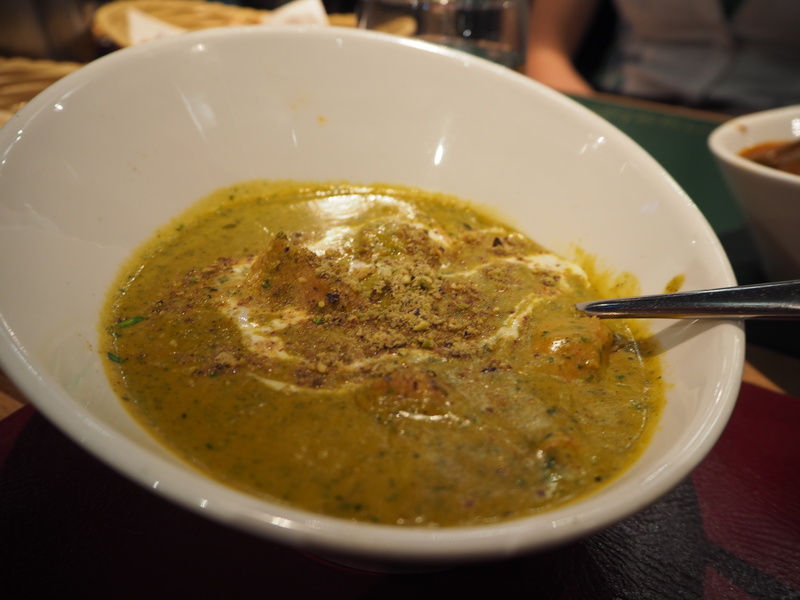 The favourite was definitely the pista chicken – a slight variation on a korma with a rich yet subtle pistachio sauce. We were mopping up that gravy until the very end! 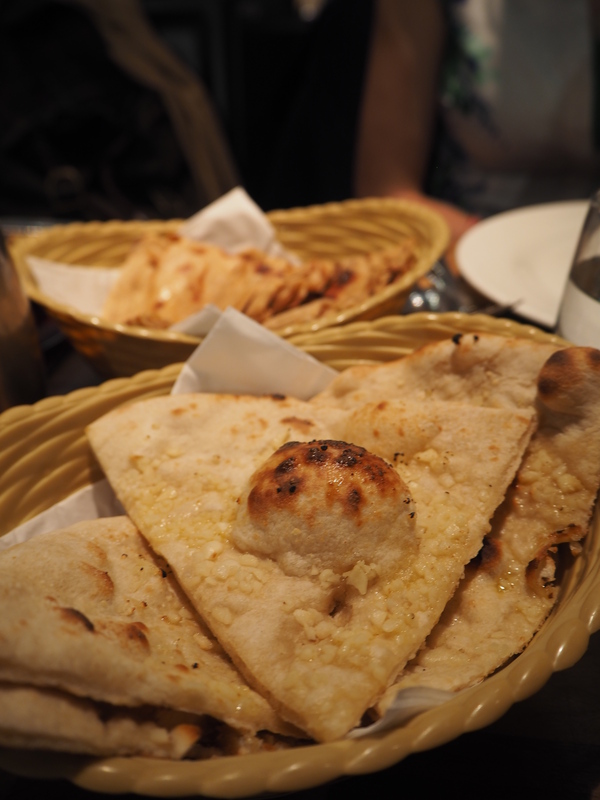 Which brings me to the sides… the garlic naan may have been the most garlicky naan I’ve ever eaten. In case it isn’t clear, that’s a compliment! Unfortunately, the lachcha paratha, which is something I love and obsess over whenever I’m in India, was slightly dry, and nowhere near oily or sweet enough. I have yet to find one I love in London, but I shall continue the hunt! All in all, we had a wonderful dinner at Bangalore Express. 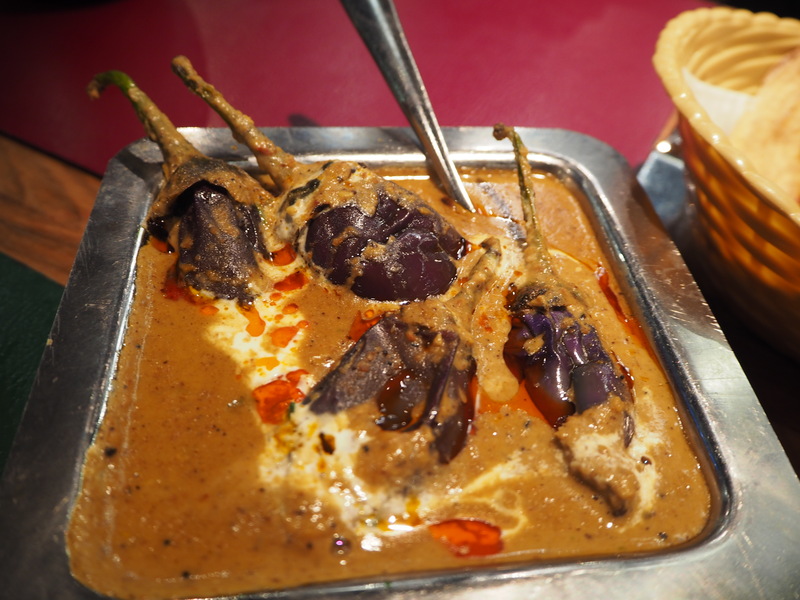 The prices are a bit more than your standard curry house, but that is because the quality of the food is far better. A great alternative to Dishoom, especially as you can book a table for dinner, and it definitely won’t break the bank. I’ll be back soon! I was a guest at Bangalore Express, but as always, all views are entirely my own. Congratulations on the nomination – I’ll defintely be voting, love your blog! Chilli paneer is also one of my favourites. Has to be very spicy though..! BTW, congrats on the the nomination! !